I have been listening to her and she is doing great. She has a disarming charm and a quick sense of humour fun hearing someone learn the ropes. I am biased being Dani's Dad, but I was so proud of her being open and honest about depression. The nstigma continues, however unfortunate. On Fearless Fred's show, the an Onion News segment stated that losewrs are 25 times more suseptible to depression. They are also 25 times more likely to commit suicide, and that because they are losers, noboidy cares. All this after one of your own "losers" committed suicide a few short months ago. I can only chalk the stigma up to ignorance, and a cheap attempt at humour, no matter who is hurt. I write this for Martin, since he cannot defend himself in death. Shame on you. I'm proud of you kiddo!!! Glen, you've raised a great girl. Fred is just blissfully ignorant. I have stopped listening to the edge. Its cjiq in Kitchener for me now, and the wolf via web when Dani is on! This stems to a few agruments and comments I've heard lately, whether it be on Facebook, radio or some other form of social media. And it is unfortunate to hear about another ignorant person who gets too much attention for the sake of, for lack of a better word, being ignorant. I was unaware that some of these comments had been made about people with depression and on-air. Seemingly unprovoked? It's a low-blow to people who struggle alone with this disease on a daily basis. Well, at least we know where she is now, thanks to you. Thanks Edge for the bang up job again. Shes better off. Too classy for that show anyways. Interesting comment Sara. Here you are all offended about remarks Fearless Fred makes yet you continue to listen to the station. 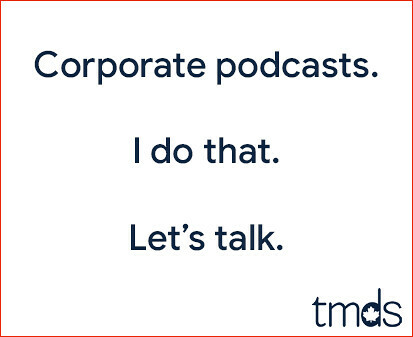 Did ya ever once think "hey, maybe this continues because I continue to listen?" Reminds me of people in traffic jams bitching about how there are too many cars on the road. Nobody said Edge listeners were smart though, did they. Irvine - I don't listen. I stopped listening to the afternoon drive way back when Brother Bill was the main man. Couldn't stand that guy in the least; I did not find him funny, entertaining, or informed. I tuned back in when I heard Bookie was in the afternoon slot. Then Fred came along. How does that moron stay in the business - I mean I REALLY did not like Brother Bill, but Fred makes him look like a masterpiece. Fred is a one trick pony who's trick isn't even amusing in the first place. So no more radio for me on the drive home; I'll listen to my own MP3s and flip to the AM station for traffic if/when needed. I hope other people tune out as well and get Fred not only off the air but out of the business. What a toolbox. And because its a satire it is above being responsible for perpetuating a stigma. Your mother should have told you a joke is only funny if everyone laughs. Anything else is cover up for a bully. Actually Ellen, that segment doing the exact opposite of poking fun of people with depression. The Onion makes fun of ignorance and stupidity. The purpose of the piece is to poke fun at the absurdness of thinking no would care when someone commits suicide. A lot of people take The Onion literal when that is never the case. Anyways this is coming from someone who has suffered from depression and has a sister that spent most of her life medicated because of it. I did not take offence from Fred's segment, because it was not ridiculing suicide if you know anything about The Onion. Anyways, best of luck Danni. You were very enjoyable on the Dean Blundell show. I wish you much success. I'm so going to miss her on the dean blundell show. very sad to hear her go. 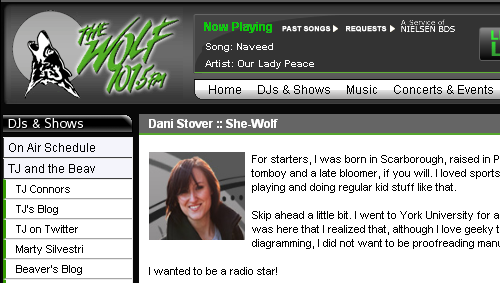 Maybe that is because instead of the wolf on 101.5 I get the local college radio :s.
Best of Luck Dani! I hope I get a chance to hear you again on the air.